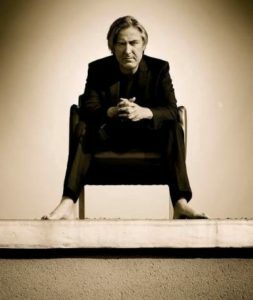 Although not a household name, Neil Davidge was a pivotal part of Bristol’s MASSIVE ATTACK for nearly 15 years. 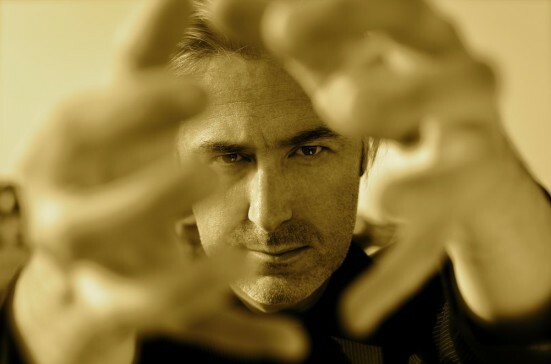 DAVIDGE effectively became one half of the group alongside 3D following the departure of original member Mushroom and a temporary hiatus by Daddy G. He is also well-respected in the film and computer game music industry, notably composing the music for ‘Halo 4’. His unique, unparalleled depth and clarity of production creates the enigma of tension, darkness and beauty, the musical equivalent of a siren, calling sailors to their sweet doom. This year has seen the release of his debut solo album ‘Slo Light’ which features CLAIRE TCHAIKOWSKI, CATE LE BON and the legendary SANDIE SHAW. 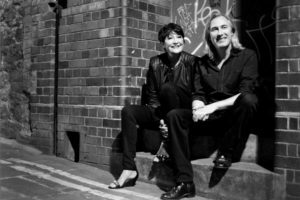 Having appeared on collaborations with BEF and THE SMITHS, Shaw flexes her vocal chords over a sub bass growl and a Barry-like string arrangement on the new single ‘Riot Pictures’. 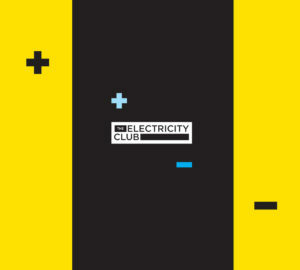 DAVIDGE kindly spoke to The Electricity Club about his stellar musical CV and shared some fascinating ‘behind the scenes’ stories of his musical production work. How did the collaboration with SANDIE SHAW come about and what was it like working with such a legend in the studio environment? My management company, after years of frustration sending me links and CDs of different singers and me turning them down, asked me to give them a list of people I’d like to work with. I put together a mixture of artists both current, not current and dead who I’d be inspired to work with. One of the first names on the list was Sandie. I told her this a couple of weeks ago when we were shooting the video for ‘Riot Pictures’ and she said she did the exact same thing, sent a list to her management saying who she’d like to work with. She had only two names on her list however, Nigel Godrich and me. Her managers emailed mine asking if I’d be interested in working with her on the very same day I sent my list. It’s exhilarating working with Sandie, she has a huge store of positive energy. It’s like she’s fully tapped into a power that most of us only get to experience a trickle of. Yeah. music is how I choose to communicate. Is it naff to say that notes and sonics are my words? I couldn’t care less about what form or style that music takes, that’s not the crux of it. I need to say what I’m feeling as honestly as I can, be authentic and run with my instincts. So to keep to a particular set of words stifles me, it’s too self conscious and careful, too business-like. I’ve gotta be able to grab the sharpest tools for the job to make my point. What motivated you to put out ‘Slo Light’ earlier this year? I guess it was time for it. I’ve never made a solo record, I’ve hidden behind others, particularly MASSIVE ATTACK. I’ve always said that being an artist and being a celebrity are two very different skills. I’ve been an artist for many years but you’ve heard my music through listening to other people’s albums and watching movies. I’ve avoided having to stand in front of that music until now. 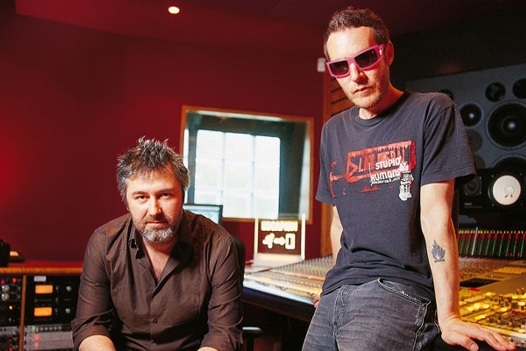 When I decided to leave MASSIVE ATTACK following the album ‘Heligoland’, I’d had enough (at least for a while) of producing but I still wrote songs that I wanted people to hear. I’ve still managed to engineer it so that someone else has the spotlight of course, whether that’s Sandie or Cate or Claire. Do you have a favourite track off of the album? Right now it’s ‘Riot Pictures’, tomorrow it’ll be a different one. I’d like to talk about some of your work with MASSIVE ATTACK. When you were working on ‘Angel’, did you ever imagine that the track would end up for years to come as the “go to” piece of music that TV directors would reach for when they needed to evoke a REALLY dark and angst-ridden atmosphere (eg typical ‘Crimewatch’ scenario run-down housing estate with major drug problems and gang violence)? Ha! No, you can’t predict that kind of thing, many have tried. That’s one of the best and most frustrating things about music. It’s not a science. However one sees it, as divine, as chance, as persistence, once in a while, maybe only once in a career do you hit on something really special. We knew the track was good, we knew we were onto something with that album in general but we were told by many that there wasn’t a single on ‘Mezzanine’. It turns out we didn’t really need a single. ‘Angel’ was on every other movie or TV show. The stunning Liz Fraser vocalled ‘Teardrop’ is probably the most iconic song you are associated with and have worked on. Is it true that it was conceived while you were hanging around waiting for the band to turn up at the studio? The music was. Those days I did shifts separately with each of the guys, Mushroom would come by first. I was fiddling around on the keyboard, playing this harpsichord sound and came up with the riff. Mush walked in as I was playing it and wanted us to work round that idea. He and I put together a groove and added some piano. It sat on the shelf for a while until Liz said she’d be up for doing something. I made a tape of four ideas and that was the one she went for first. There is also a story floating around that MADONNA nearly ended up with the song, can you shed some light on that? Yes, not the song but the music. We’d already recorded a first pass with Liz to the version Mush and I had pieced together but he didn’t like what Liz had done… so, without telling anyone else he sent the backing to MADONNA who loved the track. That was the beginning of the split with him. He wanted to take the track and produce it himself (with my help) for her. I refused to get involved. He and Dee had a huge row about it. So I reworked the track, only keeping the harpsichord part and Liz, losing all the stuff Mush and I had done together. It’s a shame it finished up having to be like that but the song just got better. How would a typical MASSIVE ATTACK song come together in the studio? Is there such a thing as a typical MASSIVE ATTACK song? It changed over the years. For ‘Mezzanine’, we’d often find a loop to begin with, a sample from one of Dee or Grants collections. From there we’d build, generally losing the loop once we had an idea. On ‘100th Window’ and ‘Heligoland’, however we decided not to use samples and instead jam ideas until we found something cool as a starting point. It’s always been a fairly random process. We’d often spend more time pulling things apart than we would building, trial and error, often with me doing the building up when I was on my own. Dee and I would talk a lot about the tracks too, fairly abstractly. He’s not a musician, so his language is based more on the visual interpretation of music and that would give me enough of an idea to then present him concrete musical ideas, which he and I would then edit and distort. On another Liz Fraser voiced track ‘Black Milk’, there was the controversy over the use of the MANFRED MANN EARTH BAND sample from the song ‘Tribute’. Were the band not fully aware of the issues from using such a significant element of the original track? Or was it very much part of the mindset of the times to “take your chances”? I suppose to some degree there was that underlying mindset, but I think the main problem was a lack of communication. When we were in the finishing stages, their manager asked me if there were any samples he should clear. I mentioned the ones I knew of, including that one but I didn’t know the name of the track, and it turned out that Gee had also mislaid the vinyl. I wasn’t officially producing the album when we were working on it (that was something that became recognised at the end), so I wasn’t keeping detailed notes of samples used and relying on them to keep a track of the titles. And in the rush to get the album released (we’d already blown one deadline and one tour), I think it just got forgotten about. Until a fan spotted the sample and told Manfred Mann, it was the furthest thing from everyone’s minds. That was a harsh lesson. We almost had to recall the album. In the end they settled amicably. It was because of ‘Black Milk’ that I pushed the guys to not to use samples and instead create our own. Aside from your work with MASSIVE ATTACK, you are probably best known as a composer of the soundtrack to ‘Halo 4’. Has this resulted in you generating a following of gamer fanboy / fangirls? Did you have any inkling of what you were letting yourself in for when you took on the ‘Halo 4’ project? I did, I’d been playing it myself since it first came out and you’d have to live in a cave not to know see just how huge the gaming industry had become. It’s overtaken the music and film industry certainly in terms of sales, creatively it may still be lagging behind but it’s still a very new industry with plenty of ambition and passion. When writing music for a computer game, at what stage do you tend to get involved and what tends to trigger inspiration for you during the composition process? It’s fairly normal to be involved way before they have the graphics in place, which is the opposite of a movie where you’ll normally see a rough cut at least before writing. For Halo 4 mostly I had to work from a short description of a scene / character and art stills. As we progressed some early build game capture footage was sent over but after a while I gave up trying to work to that. Eager to find an emotional connection, I read as many of the Halo books and played the previous games in order to immerse myself in that world and then filled in the gaps with my imagination. 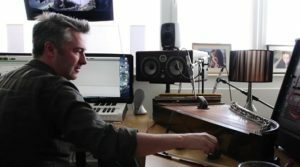 You have recently been working as soundtrack composer on the film ‘Monsters [Dark Continent]’, how did that particular job come about? My agent (COOL music) had been tracking the film’s progress and in particular the career of the director Tom Green. My agent made the connection with Lol Hammond who’s the music supervisor for Vertigo films. Lol was very aware of my past with MASSIVE ATTACK and knows Grant (Daddy G) from the band. He put my name forward and I went to see a preview of the movie in their offices in London. Tom met me after along with Allan Niblo the producer. We had a brief chat about life and things and Allan asked me if I had any questions for Tom, I said… “can I please score your film?”. It’s good to be polite! After TRENT REZNOR’s ‘The Social Network’ and now with both JUNKIE XL and M83 working on ‘Divergent’ and ‘Oblivion’ respectively, there seems to be a shift towards film companies using contemporary musicians to help score major motion pictures. Do you think there is a particular reason for this? 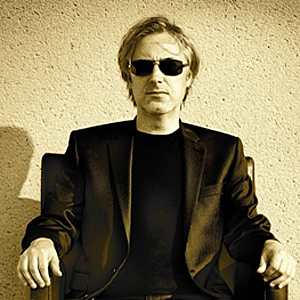 There’s actually a lot of ex-band musicians who are very successful film composers, HANS ZIMMER, DANNY ELFMAN, VANGELIS and CRAIG ARMSTRONG amongst many others all started in bands. There’s quite a tradition for engaging people from the ‘music for music’ sake side of the entertainment industry. But yes, we’re seeing more high profile bands being asked who are still very active as artists. I guess one reason could be the influential people in the movie industry are getting younger and are less likely to get excited by a ‘traditional’ orchestral score. I suspect the opportunity for marketing to capitalise on a bands profile to further add credibility to the movie is the clincher though. Like with ‘Tron Legacy’; the DAFT PUNK score gave that movie a coolness it otherwise would have lacked. To be able to mainly work on music that is seen as ‘credible’ and ‘uncompromising’ is a rarity these days, how grateful are you that you seem to be in this position? Very grateful, even though I work stupid hours and miss out on many of the things people take for granted like weekends and holidays, and well, generally sleep. I can’t get excited unless there’s a real creative challenge and a purpose to the music beyond making as much cash as possible. I wanna be moved when I listen to music, especially my own. What sort of equipment do you use in the studio and how do you go about your composing? I’ve got several computers, stacked with software, I do an awful lot with that stuff. Sometimes the whole track is conceived and finished in the virtual domain. I also have a bunch of guitars and several old school keyboards, drum machines, some drums and percussion, an old trash can, metal sheets plus a Kantele (bit like a dulcimer) which I play with e-bows. I’ve never been one to simply ‘play’ an instrument, I’m always looking to find personality and something unique in the instrument whether real or virtual and often that will get the creative process going. That might mean me using drum beaters on the guitar or mangling a keyboard through effects till it’s unrecognisable. But there’s still room for traditional composition, sitting and bashing out chords on the keyboard, me singing along to find the top line melody. I’ll start with something simple and then layer it up, pull it apart just leaving the good stuff then layer that up, maybe doing that 100 times before I settle on something I’m happy with. From there I might invite a singer, musician, arranger or combination of to jump off from where I left off and see what they can bring to the table, which I then further arrange and / or put through the ringer. It sounds chaotic but actually it can be quite natural a process, following your instincts and curiosity until you arrive at a place that feels right. You strike me as a real workaholic, do you ever get any downtime to do any non-music based things? I do work hard, I always have, and that’s ultimately my choice but as an industry we’re expected to work all hours and deadlines for movies in particular are often quite insane … so it’s expected too. The few hours a day I have free I spend playing with my 20 month old son, going to the cinema with my daughter or Skyping my eldest daughter who’s now working in London. If there’s anything left over I’ll veg out with a good TV series. I just recently did ‘True Detective’, often in 20 min chunks, loved the score on that. Finally, is there any advice you could give to up and coming producers who would like to make headway in either music / film / game soundtrack production? Get involved in everything that’s even remotely connected with music, work with as many people as you can. Don’t just sit in your bedroom making tunes that no-one will ever hear and expect to get noticed. You’ve got to get out there when you’re starting out, make those connections, be useful, be generous, be easy to work with. From there, you’ll get a ton of useful experience and if you don’t get that big break land in your lap, maybe someone you’ve built up a good working relationship will and that can be your way in.